O’Neil Fine Builders’ kitchen remodelers in Topsfield MA take pride in true craftsmanship when completing your home improvement project. With over two decades of design-build experience, O’Neil Fine Builders is one of the North Shore’s top remodeling contractors. To make communication easy, founder Jim O’Neil oversees all projects and sub-contractors. This way, you stay up-to-date on the status of your kitchen remodel from start to finish. Guaranteeing your 100% satisfaction, O’Neil Fine Builders brings the best kitchen remodeler service to Topsfield MA and surrounding areas. No project is too small or large, nor too simple or complex. Contact us with specific inquiries. 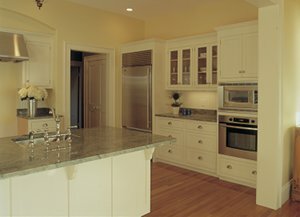 Have O’Neil Fine Builders complete your kitchen remodel in Topsfield MA. Whether you want to remodel your bathroom, tear and repair, or build a new one entirely; O’Neil Fine Builders is ready to help you from start to finish. Our comprehensive design-build services leave no detail unaccounted for. Contact our Topsfield MA kitchen remodelers by using the contact form or calling us at 978-927-7711 today. .